Using video games to examine the imperfect ways history is recorded and the ways historians work with incomplete records. Far from being a modern phenomenon, fake news dates back to antiquity. Julius Caesar, for example, was not only a brilliant strategist, but also a crafty spin doctor who controlled the historical narrative by writing volumes about his own military exploits. And he was not above making tactical omissions and reporting alternative facts. This is why historians don’t take primary sources at face value. They read between the lines and look at multiple perspectives to reconstruct the past. By teaching students to think like historians, we arm them with the critical thinking tools that will help them sift fake from fact—an essential 21st-century skill. I help teachers integrate game-based learning in their practice. When Keith Farrar, a high school history teacher, approached me about using a game in his ancient civilization class, I suggested Total War: Rome II. As Farrar’s class had already surveyed Roman history, we decided to look at a specific event from a variety of perspectives, settling on Caesar’s battle with the Helvetii. It was his first major military victory and launched his conquest of Gaul (Western Europe). We had students read Caesar’s own account of the battle in his Gallic Wars, view an episode of the documentary series The Conquerors called “Caesar: Conqueror of Gaul,” and tour a museum exhibit on ancient Rome. Then they played Total War: Rome II’s Caesar in Gaul, an add-on to the main game that begins with the confrontation with the Helvetii. We projected the game on the classroom screen, and student volunteers took turns playing, using their peers’ feedback. Rome II is largely turn-based, which allows time for thoughtful decision-making. Throughout the unit, students took notes focused on identifying bias, and we encouraged them to think about how each source represented the battle differently. Despite its hawkish title, the Total War series strives for historical authenticity, and players spend more time on statecraft, finances, and diplomacy than rallying troops on the field. While we played, the class used laptops to fact-check the accuracy of the various towns, government buildings, weapons, and politicians featured in the game. But the fun lies in making choices, which often change the course of history. Video games can produce alternative histories—Caesar can lose to the Helvetii. Students can learn a lot from these “what if?” scenarios. By making decisions and dealing with the consequences, students better understand the complex factors confronted by historical actors, and can exercise critical thinking and historical knowledge when asked to reflect on why their gameplay varied from the historical record. The unit concluded with a structured round-table Harkness discussion, which students prepared for with a note-taking outline we provided for them. During the Harkness, they reconstructed the event from various sources, unpacked biases, and deliberated on how each medium affected the message. How does perception change depending on whether we read it, watch it, or interact with it? The film and the game reveal that Caesar was in debt and facing corruption charges in Rome. Why isn’t this mentioned in his book? 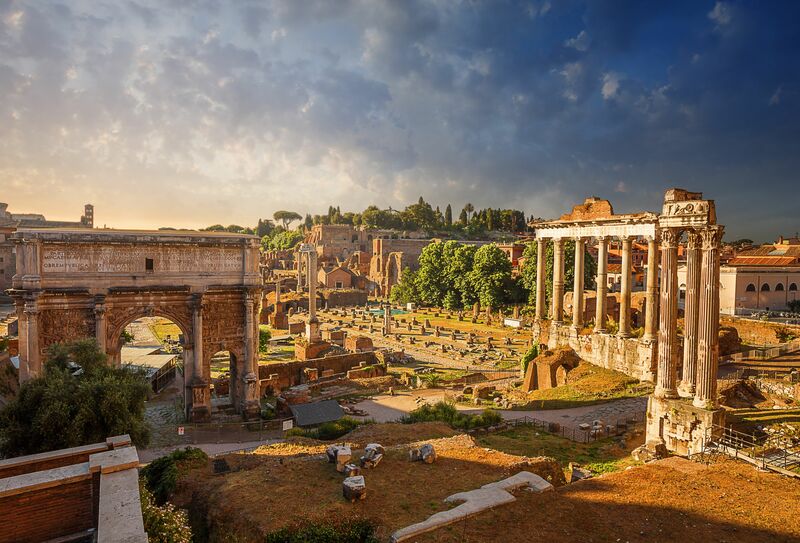 How do diplomacy and city management in the game provide insight into Caesar’s elaborate political balancing act? Farrar and I watched and assessed from the sidelines as our student historians discussed and debated the shortcomings and merits of each source as an imperfect window to the past. The mysterious fate of the Great Library of Alexandria is ideal for exploring the speculative side of studying history. The destruction of this vast collection of scrolls has caused countless scholars to wonder at the colossal loss of ancient knowledge. Despite its enduring fame, the library is also an enigma, mentioned briefly in only a handful of sources, and its appearance, its exact location, and the date of its demise are shrouded in mystery. It might have been destroyed at any point over a 700-year span, and suspects include a pope, a caliph, and the ever-wily Julius Caesar. 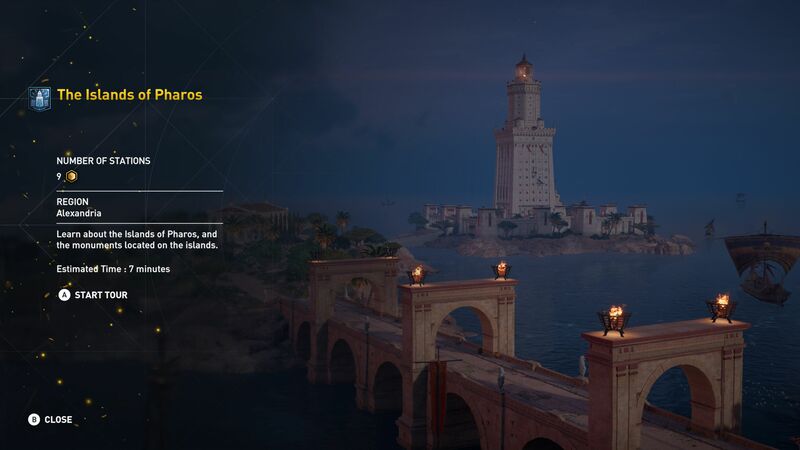 Students can use Assassin’s Creed Origins: Discovery Tour to visit the ancient city of Alexandria. A lesson on the Great Library can show students that omissions in a primary source can be just as revealing as what is presented, a concept historians call “an argument from silence.” For example, the library is conspicuously absent from Strabo’s description of his A.D. 24 visit to Alexandria. Could this mean it had already perished by then? Some believe Caesar accidentally burned the library while setting fire to his own ships during the Siege of Alexandria in 47 B.C. He doesn’t mention this in his Civil Wars, but some scholars maintain that he intentionally left it out so he wouldn’t be remembered as the instigator of this cultural catastrophe. After an introduction to the Great Library and a look at some primary sources, have students take a virtual tour of the building using Assassin’s Creed Origins: Discovery Tour. 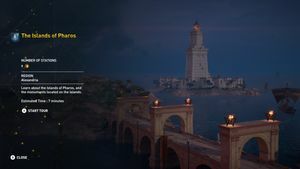 Discovery Tour is set in the world of Assassin’s Creed Origins, but gameplay is replaced with 75 virtual tours in the historically accurate setting of ancient Egypt circa 47 B.C. You can project the tours of the Great Library and the Siege of Alexandria in front of the class for a fun, cost-effective group experience. When little information is available, historians and students have more range to speculate critically on the past. Have students present evidence to back their claims in a debate, a trial, or a Harkness discussion. And you could have them synthesize their preferred sources and conclusions regarding the library’s demise in a blog post. Teaching students to think like historians makes for a dynamic class and prepares them to think more critically about history in the making.